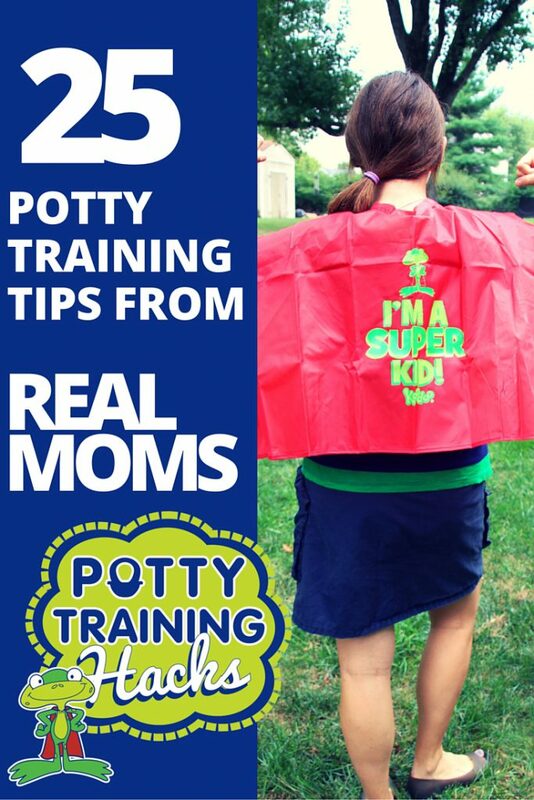 Your best resource for potty training tips and tricks – and clever ideas – will always be the parents who have already been through the process. Whether you’re potty training boys, girls, toddlers or 4-year-olds, these potty training thoughts from moms and dads are sure to help. While everyone says that our kids won’t go to college in diapers, that’s not always the most helpful advice when you’re in the thick of potty training. Luckily, there are lots of parents that have already mastered the potty training challenge and are more than willing to share their best tips. 1. Put the potty in the bathroom early. Introducing the potty early on, by having it in the bathroom way before potty training even begins, will help the child be familiar with it and it won’t be as overwhelming for them when potty training time arrives. 2. Make sure your child is really ready. This is a big one. If your child isn’t really ready for potty training, you could be looking at months of frustration for you and him. 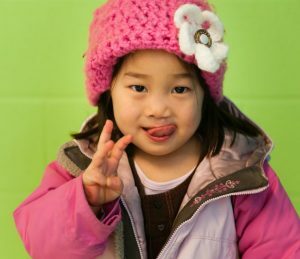 Some kids are ready at 18 months and others won’t be ready until they’re 4 or 5 years old. 3. Get on a schedule right away. 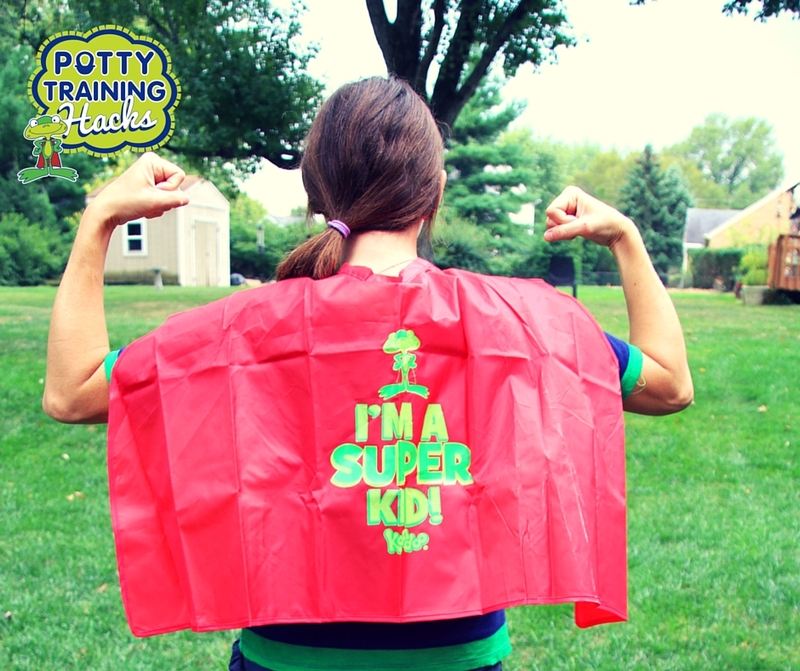 Creating a potty training schedule and sticking to it from the beginning can make a huge difference in your potty training process. 4. Use a sticker chart to allow your child to track going to the potty! A rewards chart can be a great way to encourage your child during the potty training process. 5. Put some thought into what rewards you’re going to use. Most potty training journeys include rewards – both for the child and the parents. From stickers to candy and even toys, playdates and screen time, there are several potty training rewards that might motivate your child – without having to purchase a $20 toy every time he or she poops on the potty. 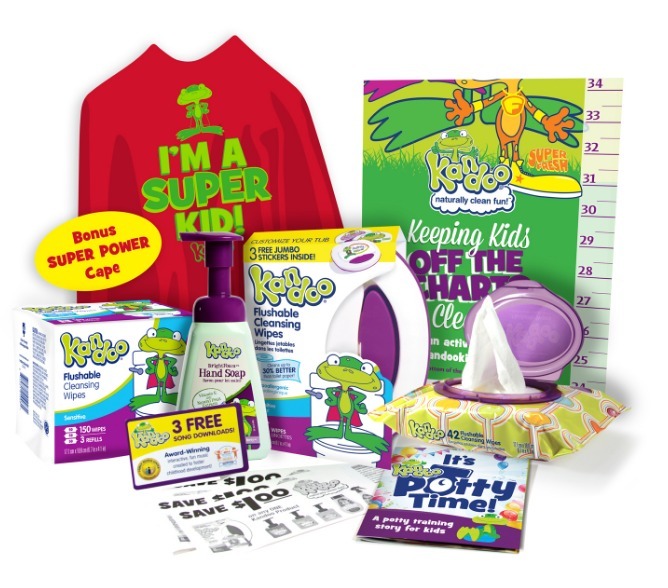 You’ll need a portable potty or potty seat, big kid underwear and (of course) Kandoo Flushable Wipes. They’re easy to use, clean up to 30% better than toilet paper and can help your child get cleaner and become potty independent faster. 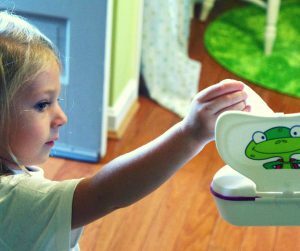 The wipes pop up with the push of a button, making them perfect for little hands. Added bonus? No more using too much (or too little) toilet paper. They’re also biodegradable and safe for sewer and septic systems. Help your little one get a clean wipe every time with Kandoo Flushable Wipes. Click here to download a coupon. 7. Invest in some potty training books. Reading together while on the potty may help make it more enjoyable and easy for your child to relax. 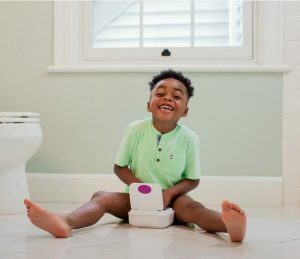 Bonus if you read about GOING to the potty while your child is ON the potty – your child is sure to get excited for the potty training process! 8. Don’t forget to laugh. Potty training can be stressful, but it doesn’t have to stink. Be sure to incorporate plenty of humor into your training to relieve stress. Potty training humor for parents. 9. Sing a potty song! Get your child excited even before you start potty training by singing and dancing to potty training songs. You can make up your own or if you’re not feeling clever, there are lots of potty training songs on YouTube. 10. Give yourself a pep talk. You can do this. So can your child. But at times, it might feel like it will never happen. During those times be sure to take a deep breath and give yourself a pep talk. 11. Give lots of praise! Cheer on your kids while they’re using the potty. Make them feel SO proud, give your undivided attention, and use positive reinforcement. 12. Don’t be afraid to take a break. Some children potty train early and some learn later than the average. If your child isn’t getting the hang of it after a couple of weeks, give it a little break and revisit potty training again down the road. 13. Boys learn differently than girls. Boys have a bigger learning curve than girls when it comes to potty training. They have to learn when to sit down, when to stand up and what to do when they need to do both. From target practice to how to master that whole sitting or standing situation, there is lots to consider. 14. Potty training stubborn kids is possible! If you have a stubborn child, the potty training process might be a little more challenging. But it’s not impossible. 15. Pooping on the potty can be scary. If your child is afraid of pooping on the potty, try not to let them get constipated. Yes, this might mean letting them wear a diaper to poop for awhile. 16. Remember that nighttime potty training is different than daytime potty training. Oftentimes, potty training at night happens weeks, months (or even years) after your child is potty trained during the day. 17. Don’t expect results in 3 days. 18. Don’t be afraid to leave the house. Yes, leaving the house while potty training can feel scary… for you. But have no fear. Start with small, short trips and build your way up to mastering public restrooms. The sooner your child (and you) can become comfortable using the potty in public, the sooner you’ll be mobile again. 19. It’s possible that your child will never learn how to flush. Just learn to let it go. Eventually it will be someone else’s problem. 20. Learning to wipe might take awhile. Once your child is potty trained, you’re going to have to teach them how to wipe. Teaching your kids how to effectively wipe their bottoms might take awhile. (Maybe even years.) Luckily Kandoo Flushable Wipes are here to help (click here to download a coupon.) And we even have a few tips on how to teach the wiping process to kids. Teaching your kids how to wipe. Luckily, Kandoo has solutions! Teach thorough hand washing by applying glitter to your child’s hands (telling them they’re “germs”) and suggest they try to wash them off in the sink. They only come off with soap, similarly to germs! Kandoo Hand Soap also comes in fun colors and scents to make hand washing much more exciting for kids. 22. Regressions happen. Try not to cry. You’ve done everything right. There haven’t been accidents in weeks, maybe even months. You’re ready to cross potty training off your list. And then the accidents start happening again. There’s no more pooping on the potty. Your child is begging for diapers. NOW WHAT? Don’t worry, this is totally normal. And you are not alone. There’s nothing like getting really excited over a toddler’s poop to make you feel like college was a million years ago. 24. It’s also okay if you get bored. Parents may not admit it, but it’s not always fun to sit in the bathroom for HALF YOUR LIFE waiting for your daughter to finish pooping. Or to see if your son needs to pee. Luckily, you can always do a little multi-tasking. No guilt needed. Don’t forget to celebrate in a BIG way when you’ve reached your goal!